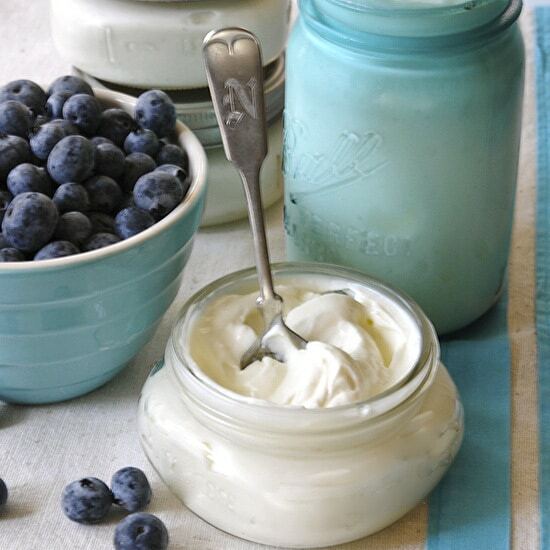 Has your homemade yogurt ever turned out grainy? While it may taste alright and it is certainly safe to eat, it’s probably not what you were going for. Right? I’ve encountered this problem of grainy yogurt myself. 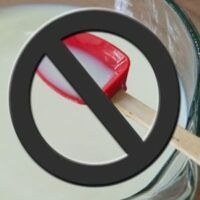 This post is a discussion about possible causes of that not-so-nice grainy texture when making yogurt at home. 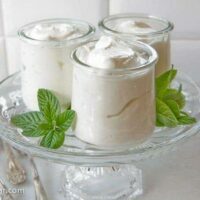 Recently, I made a batch of yogurt using a different starter than ever before. Despite using the exact same method as always, my yogurt turned out grainy. When I complained, my daughter-in-law chimed in that sometimes hers was grainy as well. Both of us thought our yogurt still tasted good. We talked and compared. Seemed like our starter might be the culprit. Here are the conclusions from my most unscientific investigation. Sure enough, in recreating the grainy texture, I discovered using starter with additives can be problematic. I’m not saying it is the only cause, but this will definitely do it. Using too much starter as discussed here can be another offender. In the picture above, the labels for each of the starters (commercially-made yogurt purchased locally) claim to have “live active yogurt cultures.” All will make yogurt successfully. However, please note the yogurt shown on the bottom three spoons contains some type of additive. Upper left: My own homemade yogurt that had been in the freezer for at least 6 months. When you purchase commercially produced yogurt to use as a starter, stick to yogurt with live cultures but NO additives. Whether it’s Greek yogurt or regular makes no difference in my experience. Here lately, I take this treat to work with me everyday. Pictured above is my homemade nonfat Greek yogurt topped with Speedy Blackberry Cobbler. If I don’t have blackberries, I’m fond of substituting whatever fresh or frozen fruit I can find in my kitchen. Since I can get 6-7 servings from one recipe, the total calorie count is quite reasonable. If you are still trying to perfect you method for making yogurt at home, I am including a video of the way I make yogurt. Maybe it will give you some ideas. 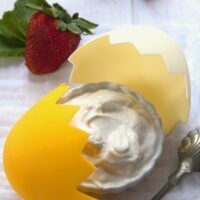 Posts Related to "Why is My Homemade Yogurt Grainy? 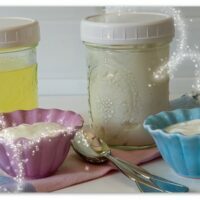 A collection of 18 posts pertaining to making Greek Yogurt at home. Subjects range from basic instructions to troubleshooting to various methods of straining, incubating, etc. Previous Post: « Lemon Poppy Seed Scones: A Fabulous Way to Start Your Day! I rather doubt if it was the speed of heating. I heat in the microwave and it works perfectly as long as I don’t mess up some other part of the process. Two reasons I know of for graininess are additives in your starter and heating the milk over 200 degrees. Personally, I heat only to 170-175 F. There may be and probably are other reasons I’m not aware of. Although Chobani appears not to have any additives, you might go back to the starter that has worked for you in the past. I make my yogurt with powered fat filled milk. Though i don’t use thermometer but i don’t let my water boil yet i keep having grainy texture. I have a solution for all who yogurt turns out grainy or gritty. Assuming you have good milk, culture and you incubate at the correct temperature, the major cause of grainy gritty yogurt is the pasteurization process . its a tricky balance of time and temperature. it you heat too much it becomes grainy and not enough it’s runny. 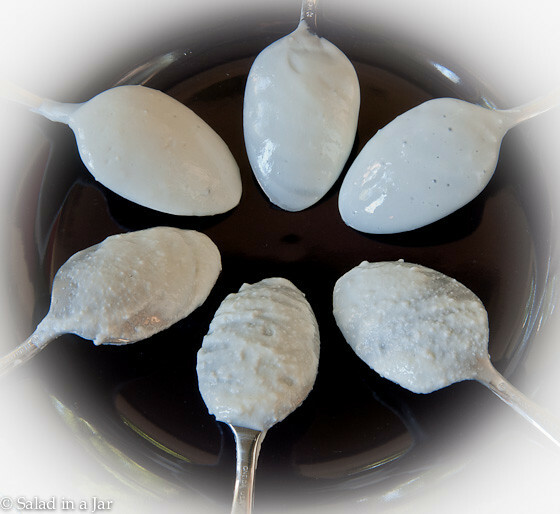 Yogurt thickens when proteins are able to hold water, and this happens when the proteins are denatured. pasteurization happens below 72 celcius. the reason Yogurt goes beyond is to denature the proteins. 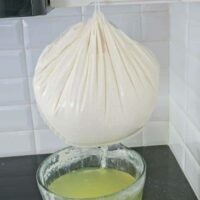 The more you heat the more proteins are denatured and if you go beyond the proteins disintegrate and enlarge can’t hold water, causing grainy yogurt. Please try my advice keenly and you will b suprised with the result. it has costed me hundreds liters of milk to get to this. I advice you get a thermometer. Heat the milk on top of a double pot with the one below having water. As you continuously stir bring the milk to 85 Celsius. put off the heat and let the milk hold with it’s own heat for 5-8 min. (at this stage we are ensuring all proteins denature but careful not to overheat) cool the milk rapidly,you can place the milk pot in ice water. at 45celcius stir in the culture and incubate as usual. Thanks for writing and sharing your excellent scientific description of the process. As you may know, I recommend a thermometer for anyone who has not made a lot of yogurt. Thanks, this was really helpful. I noticed sometimes my yogurt comes out creamy, sometimes grainy, but I hadn’t thought about additives. I saw on another message board people were saying it could be from starter that is too old, but I’ve noticed I get the grainy texture using fresh store-bought yogurt as a starter, whereas my grand baby starter was making nice smooth yogurt. BTW, when I strain my yogurt, I freeze some of the whey in ice cube trays and use that as starter. It has been working great! Your comment made me smile. Lots of strange information on the net about making yogurt. One of my goals has been to expose some of the myths. I have discovered another reason for a grainy texture, just FYI. Overheating the milk will also do it. When the cook forgets or loses track of the milk temp and lets it get over 190 or 200 degrees, even boiling, the result can also be the dreaded grainy texture. You know, it’s funny you mention it, the last time I made yogurt (before the last time that was grainy) I accidentally left it on the stove and it simmered for awhile and even browned a little. It was NOT grainy, though! I was totally surprised! Interesting observation. 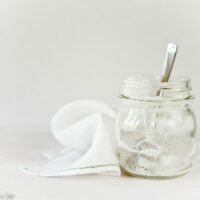 There are so many factors involved in homemade yogurt that it is difficult to troubleshoot in anything more than generalities. Milk can be so different depending on brand, age and fat content. Then there are a million different ways to prepare and incubate the yogurt. And then there is the starter. Oh my. I’m just glad you are making and enjoying delicious yogurt. Thanks for this post! 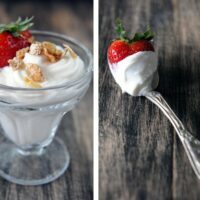 I have been making yogurt off and on for a couple years and have always had a bit of the grainy texture you explained. I assumed that was what homemade yogurt was like! Off to Whole Foods tomorrow to buy some good quality yogurt! I hope that works for you. I have also discovered that heating your milk to a temperature much over 175 degrees F. can also result in graininess. Just FYI. I have the graininess too and use full fat organic jersey milk and st. Benoit yogurt to start and it’s just real organic cream and starter, no other ingredients. But when I use lo fat milk it was fine. But on a different note, I read quite some time ago that for the good bacteria to stay alive (since that’s why most eat yogurt) that you should never whip, stir hard, blend or freeze yogurt. If you do you still have a tasty high protein meal but it doesn’t have the live bacteria. One possible reason for graininess is overheating your milk. Do you use a thermometer? Don’t recommend going over 180 F. Just a thought. About the “whip, stir hard, blend or freezing” of yogurt: I disagree. None of these processes will kill the live bacteria. To prove it, just try using the yogurt that has been frozen, whipped, or stirred hard as a starter. 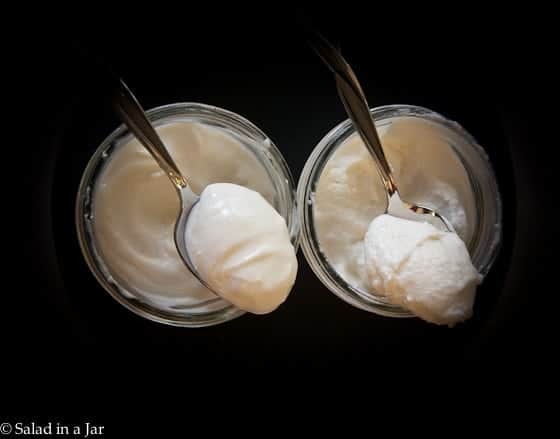 Assuming you haven’t killed the bacteria with too much heat along the way, you can use it to make lots more yogurt which proves the bacteria are still alive. I do it ALL the time. It will change the texture but it should not kill the yogurt. I’ve been trying desperately to make my own yogurt, and it comes out grainy EVERY time. I’ve varied my heating and incubating times and techniques, to no avail. But I’ve been using the same starter for each batch. I’ll pick up some Fage today and see if that does the trick. I also may have been using too much starter. Another question, though. I read your cheat sheet. When you heat the milk in your microwave, you say it takes 17 min? What power level is that at? I tried heating about 1c of milk on high and after three minutes, it foamed over the whole bowl and was over 200 degrees. I am a great cook and baker, but apparently when it comes to fermentation, I am helpless! I’ve been trying desperately to make my own yogurt, and it comes out grainy EVERY time. I’ve varied my heating and incubating times and techniques, to no avail. But I’ve been using the same starter for each batch. I’ll pick up some Fage today and see if that does the trick. I also may have been using too much starter. Another question, though. I read your cheat sheet. When you heat the milk in your microwave, you say it takes 17 min? What power level is that at? I tried heating about 1c of milk on high and after three minutes, it foamed over the whole bowl and was over 200 degrees. I am a great cook and baker, but apparently when it comes to fermentation, I am helpless! Since I read this awhile ago…..I switched to Stonyfield yogurt for starter and just 3 T. instead of a bunch! Perfect yogurt everytime! Love it! Thanks for the tips! The question here is moot for me. What I have done to solve this problem is to put the yogurt in a blender after straining. It removes all the graininess. Makes for a predictable product. 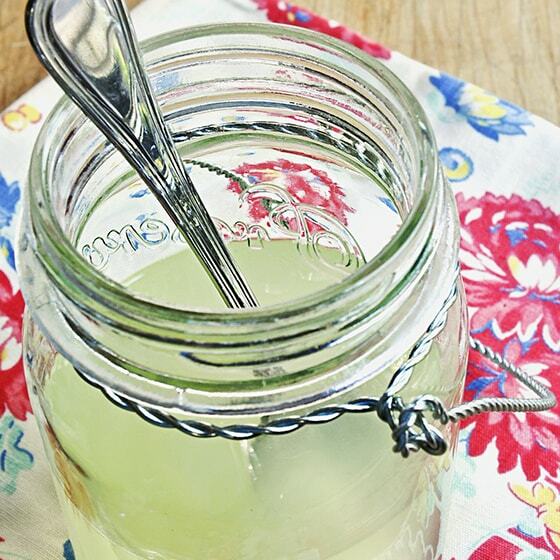 Homemade yogurt?! You are a rock star. So healthy and delicious! 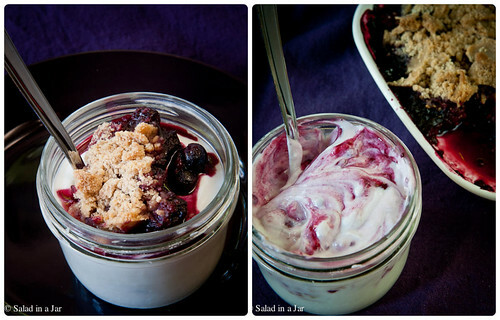 I like that idea to put the cobbler in the yogurt. I usually put a spoonful of strawberry or raspberry jam in mine, or lately I’ve been liking maple syrup. Since switching from making regular yogurt to the Greek yogurt, Allen has started eating it. That strainer is worth every penny! I usually use Fage for starter, but it’s been several months since I’ve had to buy any. So glad to hear you like the strainer. It’s a hard sell but serious yogurt makers won’t regret it. This is crazy but I have the same thing happen to me every once in a while, and I always use FAGE nonfat yogurt for my starter. I have found it seems to make a difference what temperature you heat your milk too and for how long. When I heat my milk to 180 degrees it’s grainy, when I hear it to 190 and keep it there for 5-10 minutes it’s smooth. This has worked for me, anyway. I haven’t heard that one, but if it works for you, keep doing it. Thanks for writing.